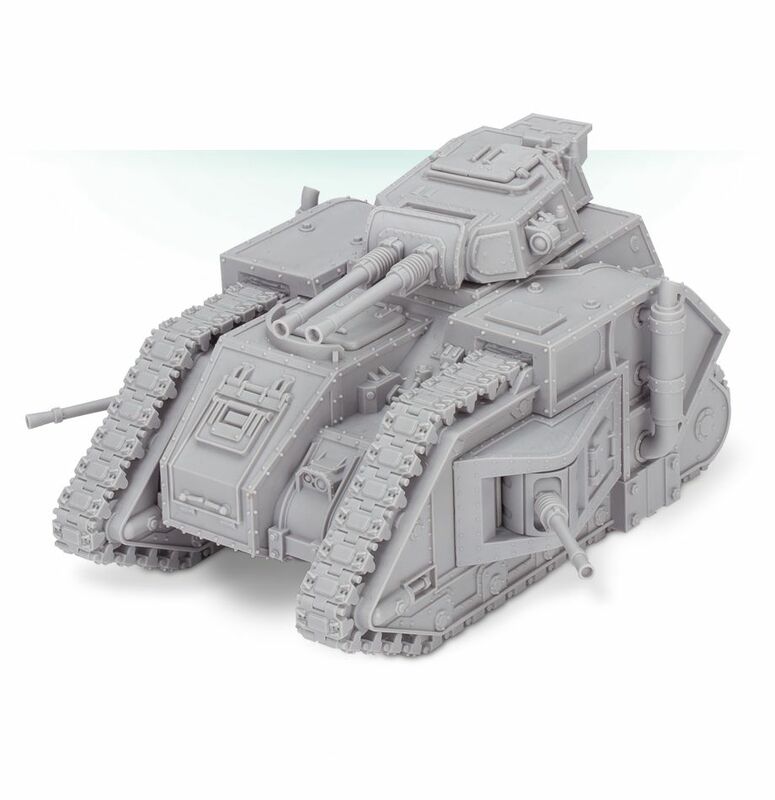 Von Forge World rollt ein neuer Panzer an, der Imperialis Militia Carnodon Battle Tank stellt schwere Feuerkraft für die Schlachtfelder der Horus Heresy und Warhammer 40.000. The Carnodon is a versatile medium battle tank which acted as the lynchpin for many of the storied successes of the Imperial Army during the Great Crusade. As a premier mobile fire platform, it was regularly adapted to combat a wide variety of foes and respond to any number of battlefield conditions. During the early years of the Great Crusade, it rapidly became a byword for conquest amongst the Expeditionary fleets, a legacy which led to the production of the dedicated Imperial battle tanks of latter-days. As the Great Crusade moved ever outwards and supply of the Aurox chassis peaked, it is thought that many Carnodon tanks entered a strategic reserve and were distributed to Crusade muster worlds behind the front lines; with over two hundred thousand examples thought to have been stored pending secondary mobilisation in the warrens under the world of Tallarn. This multipart resin kit contains the components necessary to assemble a Carnodon. A squat, utilitarian battle tank, its silhouette describes little more than a set of powerful tracks with a large turret assembly – featuring a choice of 2 lascannon, 2 autocannon, 2 multilasers or a volkite culverin – at the top. 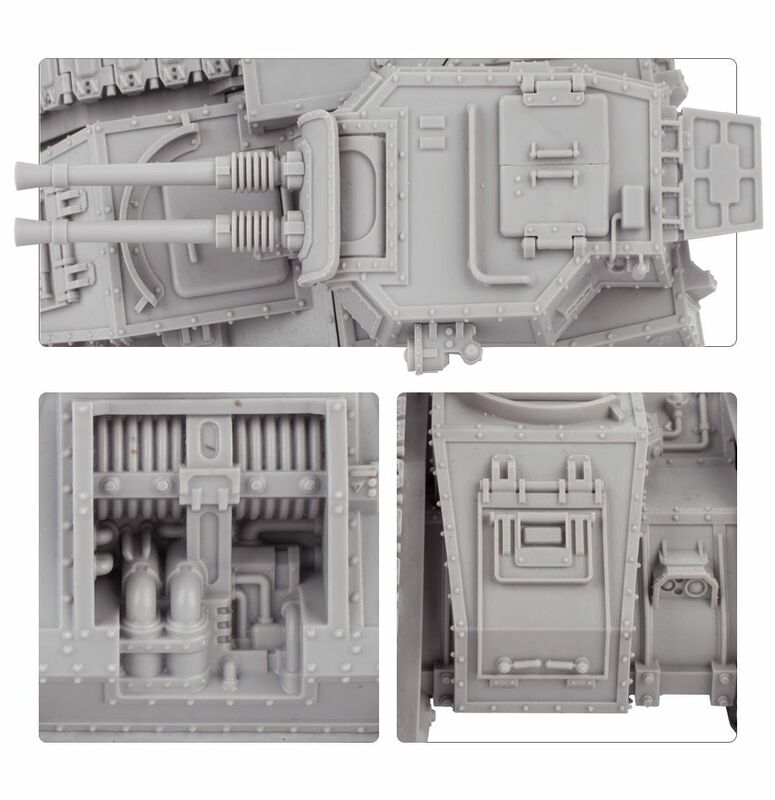 The sponsons are equally fearsomely beweaponed, with autocannon, heavy bolter, lascannon, heavy flamer and volkite caliver options. On either side of the hull can be found a large exhaust, with a large hatch door at the front. This resin kit comes as 40 components, and rules for fielding the Carnodon can be found as a PDF download. 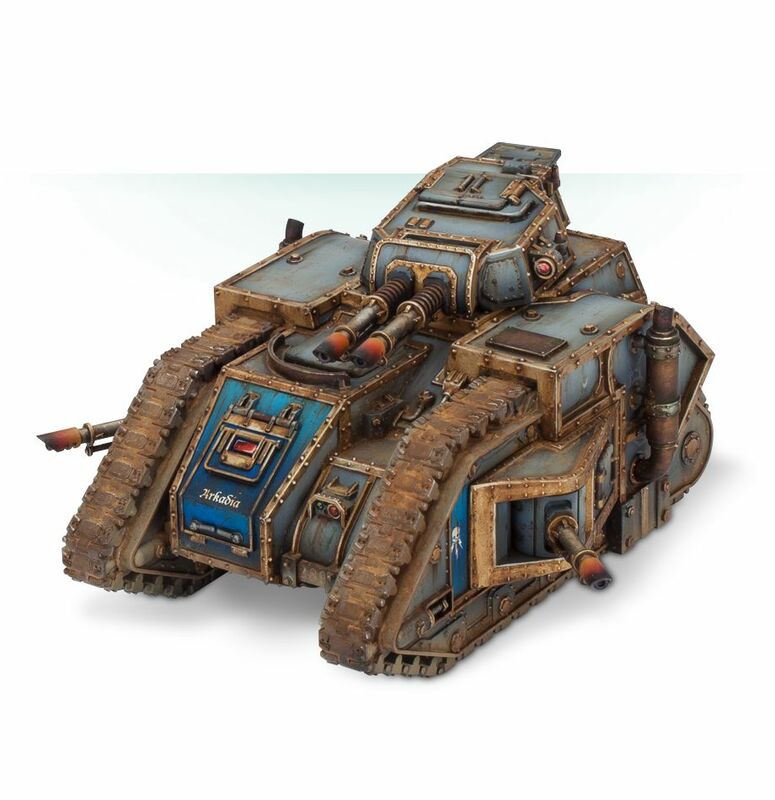 To use this unit in games of Warhammer 40,000 or The Horus Heresy, download free rules PDFs using the links below. – 3 Imperialis Militia Carnodon Battle Tanks, each featuring a choice of 2 lascannon, 2 autocannon, 2 multilasers or a volkite culverin at the top. 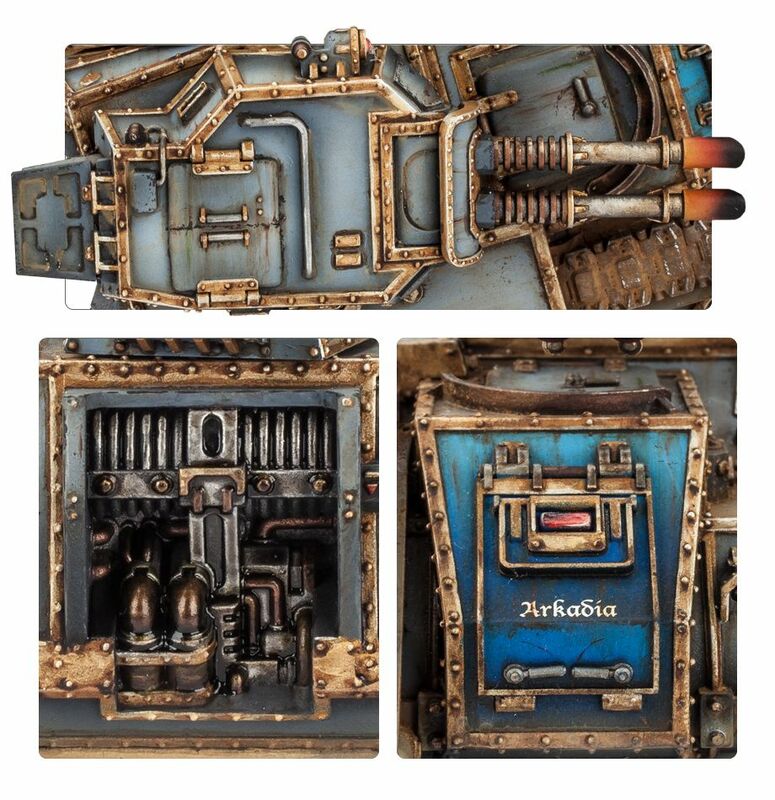 The sponsons are equally fearsomely beweaponed, with autocannon, heavy bolter, lascannon, heavy flamer and volkite caliver options. Either side of the hull can be found a large exhaust, with a large hatch door at the front. These are resin kits, which come as 40 components each. Rules can be found as a PDF download. Hübsches Modell, aber A zu teuer und B nicht mt der Währungsumrechnung von FW! Und nächstes Jahr Hard Brexit. Bloody Hell, das wird teuer.